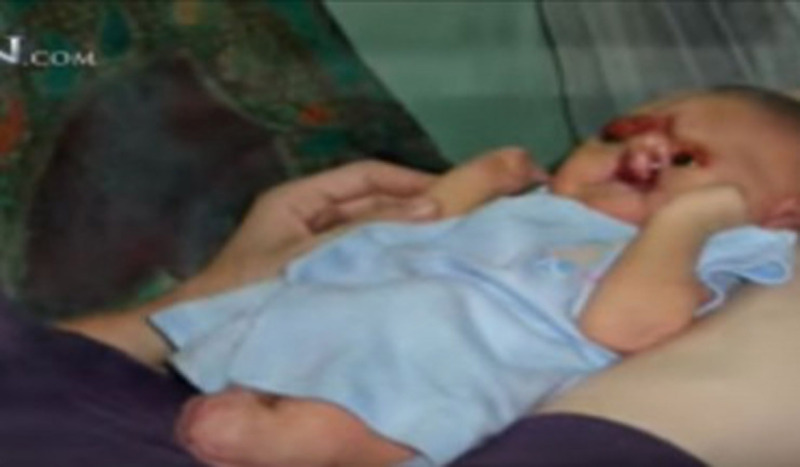 Home » life » Mom Sees Newborn’s Face And Tosses Him Away. Then The Nurse Does The Unexpected! Mom Sees Newborn’s Face And Tosses Him Away. Then The Nurse Does The Unexpected! The birth parents of Adam simply refused to take him home after birth. They actually threatened to poison the boy if they were forced to take him home. You see, Adam, while born with a healthy brain, lungs and heart, had no eyelids, no nose, no hands, and his legs were fused together. These conditions were why his parents chose to abandon or kill the boy. Meanwhile, a married couple, Raja and Jessica Paulraj were the doctor and nurse who had treated Adam. Neither could stand for this kind of behavior. They knew they needed to adopt the boy. Bartsocas-Papas Syndrome was the rare genetic disorder that Adam had. Several surgeries were done on the boy and the bills were incredibly high. But the community ended up rallying together, raising $100,000 in only a week. For the first time, Adam is able to now close his eyes and mouth. Raja and Jessica are true heroes for stepping in and saving this boy that nobody wanted. Adam is now a happy and healthy little baby. Share this amazing story with friends and family!